Time for a new wallet? We’ve got just the one! PICK WHICH COLOR YOU WANT, AND WE’LL GIVE IT TO YOU! Part of the Trip collection by Matt & Nat, this zip-around wallet is made from the highest quality sustainable materials. 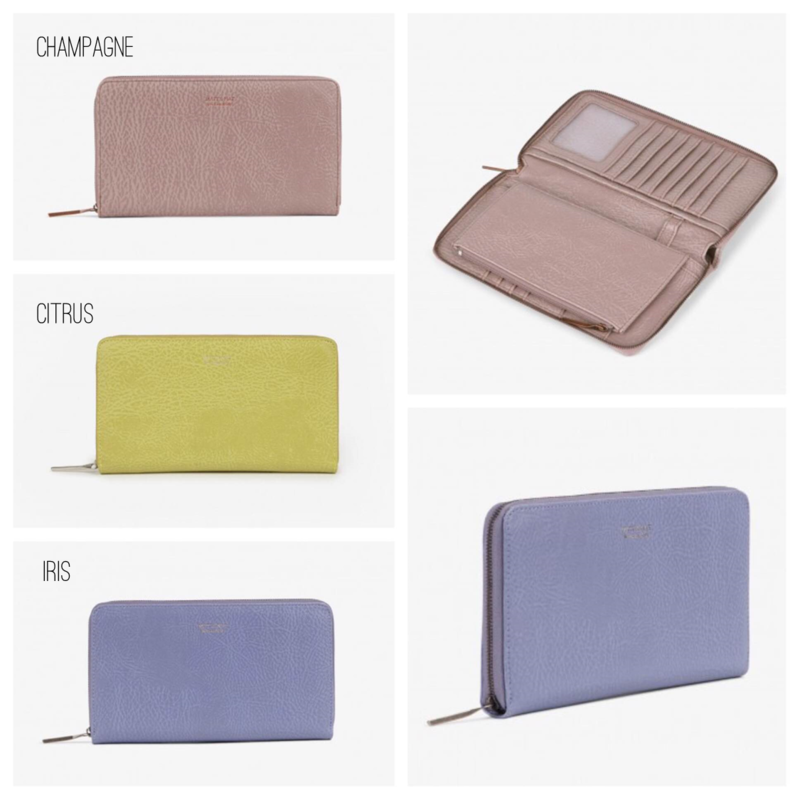 It features 14 credit card slots, 3 bill compartments, passport slot, checkbook slot, and a zippered coin pouch. Fill out the Rafflecopter form before to enter. Giveaway begins April 6th and ends May 31st. Awesome giveaway… But I can\’t enter, the Rafflecopter isn\’t open. It says that the contest hasn\’t started. It starts April 6th! Look for it to open up then! My favorite color for the wallet is Citrus!! Hi! Is this where we post the \”blog post\” saying that I like the iris color trip wallet? Thank you! I love the classic look of Champagne! Love all the colors but I will pick the IRIS if you give me only one! My favorite color is the Iris. If it\’s a drawing, PLEASE PICK ME!! !